Well it's been a wonderful birthday week! I'm so thankful for for the love you've shown me this week! Thank you to my faithful followers and all of the new ones, too. 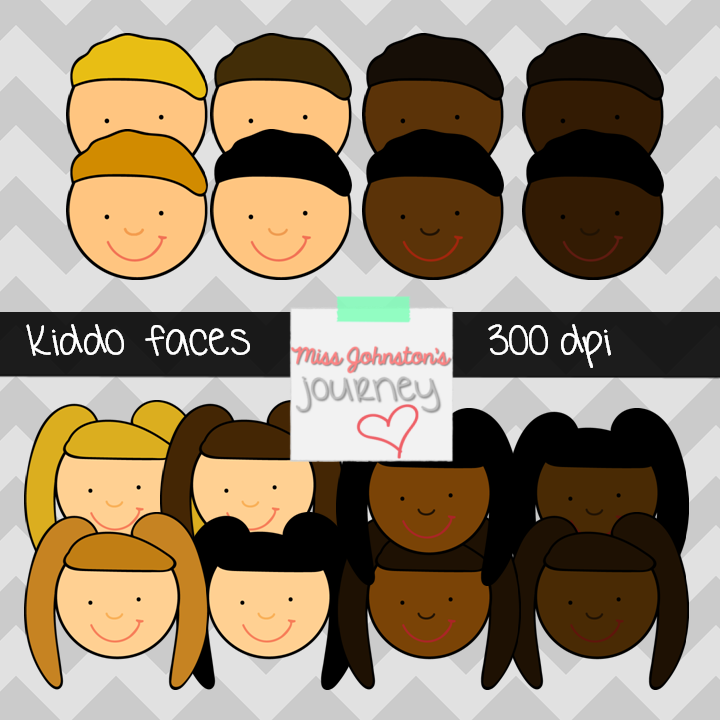 Tried something out of my comfort zone for your last freebie....kiddo heads! Remember the giveaways ends tonight at 11:59pm central time. I will be choosing them on Monday evening, and hope to have emails send out to the winners shortly after. Happy Birthday Week! Did you see that your Birthday Glitter Frames made the TPT newsletter? Thanks for all the freebies this week!!! They were all AWESOME!!! Also thanks for the opportunity to win your giveaway. Hopefully your part of Iowa is experience the same warm up that I am in my corner of Iowa. I think spring has sprung.